Melissa and Owen met on New Years’ Eve and he proposed on Valentine’s Day. 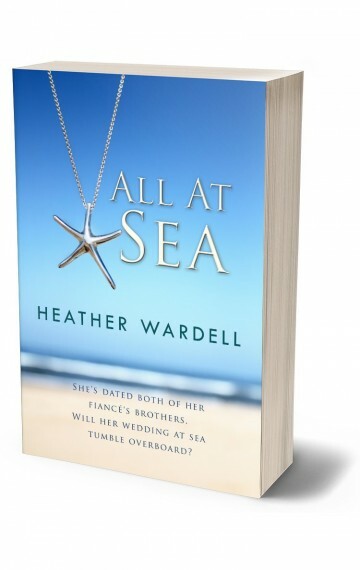 Now it’s March, and they’re about to set sail on a two-week Caribbean cruise – and get married on the last day at sea. Though their relationship’s moving fast, Melissa’s wanted to be married for years and she knows the smart stable Owen is a great catch so she’s sure they’ll be fine. At least, she’s sure until she meets his brothers on the cruise and discovers she’s dated both of them: Austin, the fun-loving flirt whose kisses still haunt her dreams, and Nicholas, the sweet horror movie fan whose lack of ambition upset her in ways she still doesn’t understand. Melissa expected to spend tons of time onboard with her fiancé, but he instead spends nearly his every waking moment in the casino displaying a previously unseen love of gambling. This surprise, and the time she spends with Nicholas and with Austin, makes her question everything she thought she wanted. Her relationship with Owen was just fine before, but suddenly ‘just fine’ doesn’t seem good enough to keep a marriage alive for a lifetime. Melissa has two weeks to decide: stay with Owen or jump ship.